A European Union passport is preferred but not mandatory. Nevertheless, pilots not holding a European Union passport will only have access to A320 and B737 programs based outside of Europe. Once you have graduated from the APP flight academy phase with the EASA Frozen ATPL + MCC, you will then be given the opportunity to join one of the EASA APP A320 or B737 (aircraft will depend on your preference and positions available) First Officer Employment or Experience programs including EASA A320 or B737 Type Rating Course + First Officer Employment or Experience. Eagle Jet International has provided A320 and B737 First Officer Employment or Experience programs with our contracted European EASA certified (and non European EASA) airline partners for the past 22 years to pilots right upon graduating from flight school with the EASA Frozen ATPL + MCC. Flight time already completed and the Private Pilot License (if already obtained) before joining the APP are credited and a personalized training breakdown and quote is issued by our APP aviation academy partner. Email copy of your resume to info@eaglejet.com. If your resume is approved, you will then need to obtain the European EASA First Class Medical with the EASA certified medical center of your choice. You will attend full time training with a flight academy based in San Diego, California. Southern California offers the best weather conditions for full time professional flight training resulting in no or little time wasted due to weather. The flight academy is a large and established European EASA and American FAA certified flight school specialized in commercial pilot training. Over a 14 to 16 month full time training program, you will obtain the EASA Frozen ATPL including EASA Private Pilot License, EASA Written ATPL, EASA Multiengine Commercial Pilot License, EASA MCC & JOC and EASA and FAA Instrument Rating. You must graduate from the EASA APP Flight Academy Phase to have access to the APP A320 or B737 First Officer Employment or Experience programs. Upon completion of the APP Frozen ATPL and MCC, you will be briefed with the details of the A320 and B737 First Officer employment and experience programs available and you can then indicate which program you wish to join. You will then take the entrance check of the selected Eagle Jet International contracted partner airline. Should you not satisfactorily complete the first entrance check, Eagle Jet International will make arrangements for you to take the entrance check of a second program selected by you. Should you not satisfactorily complete the second entrance check, Eagle Jet International will make arrangements for you to take the entrance check of a third program selected by you. Should the third airline entrance check not be satisfactory, it will be at Eagle Jet International's sole discretion to decide if one or more programs will be proposed to you. Upon satisfactory entrance check, you are responsible for the corresponding program cost. 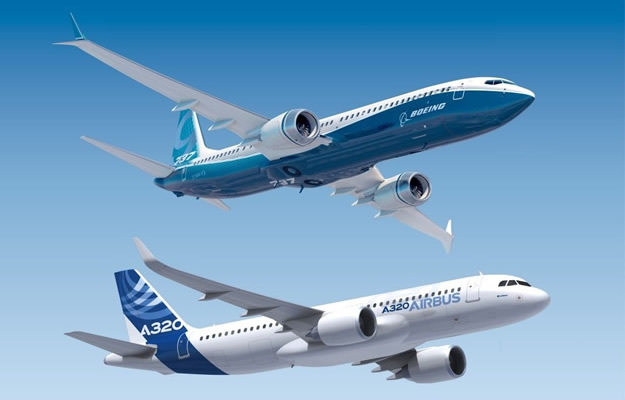 As of January 2019, the available A320 or B737 programs costs vary between about €15,000 and €65,500 Euros. Thanks to the EASA APP, EASA "ab-initio / from zero" pilots are able to attend A320 or B737 First Officer programs similar to those provided by major airlines to their cadets. Upon completion of the APP, pilots are either employed as A320 or B737 First Officer by one of Eagle Jet International's contracted partner airlines or have gained the amount of hours on type as A320 or B737 First Officer required by airlines worldwide to then secure employment with various airlines operating one of the two most popular commercial aircraft worldwide: the Airbus 320 or Boeing 737. 5. Cost of the Private, Commercial, Instrument and Multiengine tests including examiner fees & aircraft rental: about $3,500 (about €3,070 Euros). Examiners are to be paid directly on the day of the tests. 6. Cost for the EASA Instrument Conversion Course, MCC and JOC: about $9,800 (about €8,590 Euros). This is based on the cost of an EASA certified Italian flight school often used by pilots. The EASA Instrument Conversion, MCC and JOC can be completed in the European country of your choice if preferred; in which case the cost indicated might vary. 7. After passing airline entrance check and before starting airline's First Officer training: about €15,000 Euros to €65,500 Euros depending on the available airline program selected by pilot. Once you have graduated with the FAA Commercial Pilot License with Instrument and Multiengine Ratings with our FAA Part 141 certified established and professional aviation academy partner, Eagle Jet International will then provide you with Airline First Officer qualification training + Airline First Officer experience during scheduled passenger operations close to the USA flying high performance multi crew certified turbojet or heavy turboprop commercial aircraft (instead of becoming a Flight Instructor on light single engine piston aircraft). Eagle Jet International has provided Airline First Officer experience to pilots right upon graduating from flight school with our airline partners for the past 22 years. This unique Airline First Officer experience has made hundreds of pilots able to secure employment with various airlines and executive companies worldwide. Flight schools only offer their graduates to pay for their flight instructor training; they do not offer airline multi engine First Officer experience to their graduates. Flight time already completed and the Private Pilot License if already obtained before joining the APP are credited and a personalized training breakdown and quote is issued by our APP aviation academy partner. Email copy of your resume to info@eaglejet.com. If your resume is approved, you will then need to obtain the FAA First Class Medical with the FAA certified medical examiner of your choice. Pilots attend full time training with a flight academy based in San Diego, California after having obtained their pilot student visa and TSA clearance with the academy documents. Southern California offers the best weather conditions for full time professional flight training resulting in no or little time wasted due to weather. The flight academy is a large and established FAA Part 141 certified flight school specialized in commercial pilot training and is a European EASA certified flight academy. Over a 7 to 9 month full time training program, pilots obtain the FAA Private Pilot License, Instrument Rating, Commercial Pilot License and Multiengine Rating. To meet the multi crew certified airline flight time requirements of 300 hour total time including 50 hours of multiengine time (25 hours can be completed in a certified multiengine Redbird simulator with an instructor), pilots then complete about 75 hours of solo flight on a C172 with the flight academy in San Diego, California and 25 hours in a Full Motion Redbird multiengine certified simulator with a multiengine instructor in Miami, Florida to be fully prepared for the multi crew certified aircraft type rating course. Pilots must graduate from the APP Flight Academy Phase to be provided access to our airline First Officer experience program. Once pilots meet the above 300 / 50 hour requirement, they then return to their home country to obtain corresponding US visa to attend the FAA type rating course with Flight Safety International before reporting to our partner airlines based outside and close to the USA in touristic locations to start line flying. Thanks to the airline First Officer experience pilots gain on high performance turbojet or heavy turboprop aircraft during passenger scheduled operations instead of general aviation experience on light single engine piston aircraft, APP graduates are highly sought after by airlines and executive companies worldwide. The Eagle Jet International Airline Pilot Program is the most advanced fast track ab-initio program taking you from Zero to Airline Multi Turbine First Officer Experience. 5. Cost of the Private, Commercial, Instrument and Multiengine tests including examiner fees & aircraft rental: about $3,500. Examiners are to be paid directly on the day of the tests.